Georgia currently has five waivers that are open to children. Georgia has a TEFRA program and the other waivers are all HCBS 1915(c) Medicaid waivers. The TEFRA program and two other programs waive parent income, but we do not know the status of income waivers for the other programs. For an overview of the programs, see this page or view this guide. 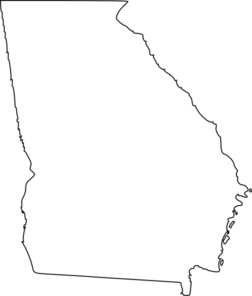 Georgia also has one adult-only waiver, Independent Care Waiver Program. How to Apply: Call 678-248-7449 or pick up an application at your county Division of Family and Children Services office. Contact by mail at Right From the Start Medicaid Project, Centralized Katie Beckett Medicaid Team, 5815 Live Oak Parkway, Suite 2-D, Norcross, GA 30093-1700. Target Population: Children who are medically fragile or technology dependent and need medical daycare or in-home nursing. Description from medicaid.gov: Provides medically fragile daycare service (full day more than 5 hrs), medically fragile daycare service (less or equal to 5 hrs) for medically fragile and technology dependent individuals, ages 0-5. How to Apply: Contact the GAPP Specialist at 404-657-7882. Waiting List: Georgia has 8698 individuals with developmental disabilities and 104 people with physical disabilities on waiting lists. Description from medicaid.gov: Provides adult day health, out-of-home respite, personal support services (PSS) / personal support extended (PSSX)/consumer directed personal support services, traditional case management, occupational therapy in adult day health care, physical therapy in adult day health care, speech therapy in adult day health care, alternative living services (ALS), emergency response services (ERS), enhanced care management (ECM), financial management services (FMS), home delivered meals (HDM), home delivered services (HDS), skilled nurses services (SNS), transition community integration services, transition coordination (month 1-6), transition coordination (month 7-12), transition coordination (pre-discharge), transition services and supports for aged individuals 65 yrs - no max age, and PD individuals, ages 0 – 64. How to Apply: Call 404-463-6570 or contact your local office. Description from medicaid.gov: Provides community living support, prevocational services, respite-15 minutes, adult occupational therapy services, adult physical therapy services, adult speech and language therapy services, nutrition services, specialized medical equipment, specialized medical supplies, community guide, financial support services, adult dental services, behavioral supports consultation, behavioral supports services, community access, community living support - extended services, community living support-personal assistance retainer, community living supports – shared, environmental accessibility adaptation, individual directed goods and services, intensive support coordination, natural support training, respite services - 2 participants, respite services - 3 participants, respite services - daily category 1, respite services daily category 2, skilled nursing services (SNS), support coordination, supported employment services, transportation, vehicle adaptation for individuals DD/ID, ages 0 - no max. How to Apply: Contact the Department of Community Health. Waiting List: Georgia has 8698 individuals with developmental disabilities on waiting lists. Description from medicaid.gov: Provides community access, community living support, prevocational services, respite - 15 minute, support coordination, supported employment, nutrition services, specialized medical equipment, specialized medical supplies, community guide, financial support services, additional residential staff, adult dental, adult occupational therapy services, adult physical therapy services, adult speech and language therapy services, behavioral supports consultation, behavioral supports services, community living support - extended services, community living support - personal assistance retainer, community living support – shared, community residential alternative-group home (CRA-GH) 3-person residence- tier 1, CRA-GH 3-person residence- tier 2, CRA-GH 3-person residence- tier 3, CRA-GH 3-person residence- tier 4, CRA-GH 4-person residence- tier 1, CRA-GH 4-person residence- tier 2, CRA-GH 4-person residence- tier 3, CRA-GH 4-person residence- tier 4, CRA-GH 5 person residence, CRA host home- category 1, CRA host home- category 2, environmental accessibility adaptation, individual directed goods and services, intensive support coordination, natural support training, nursing services (SNS), respite – daily, transportation, vehicle adaptation for individuals with ID/DD, ages 0 - no max.